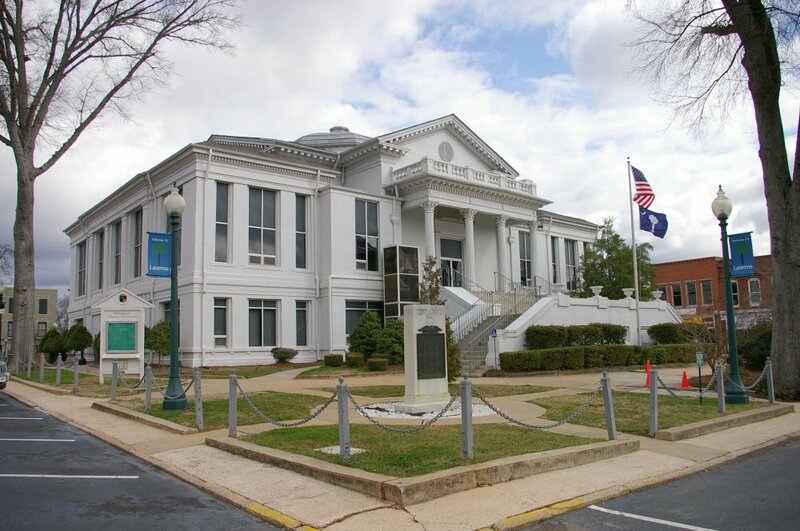 Laurens County is named for Henry Laurens, who was the president of the Continental Congress. Description: The building faces south and is a two story white colored stucco and brick structure. 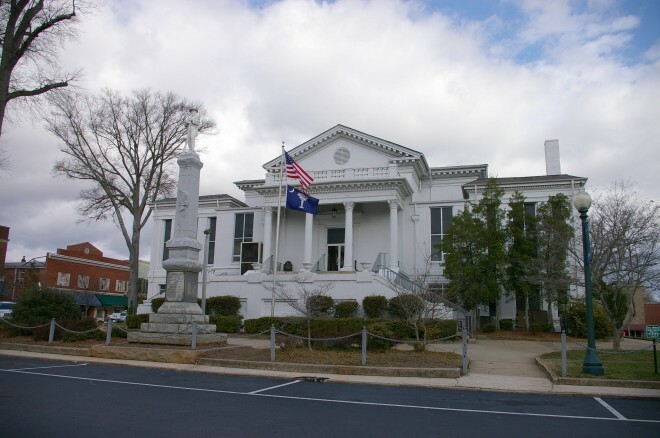 Located in the center of the Public Square, the building has a portico supported by four large columns on the south and north sides. Staircases ascend to the second story entrances. The building has narrow vertical windows. An addition was added in 1857. In 1911, a further addition was added. The architect was Ten Eyck Brown and Proffitt & Hampton. An addition was added in 1940. Description: The building faces south and is a one story stucco and concrete structure. The building is located next to the Barksdale Square Shopping Center. 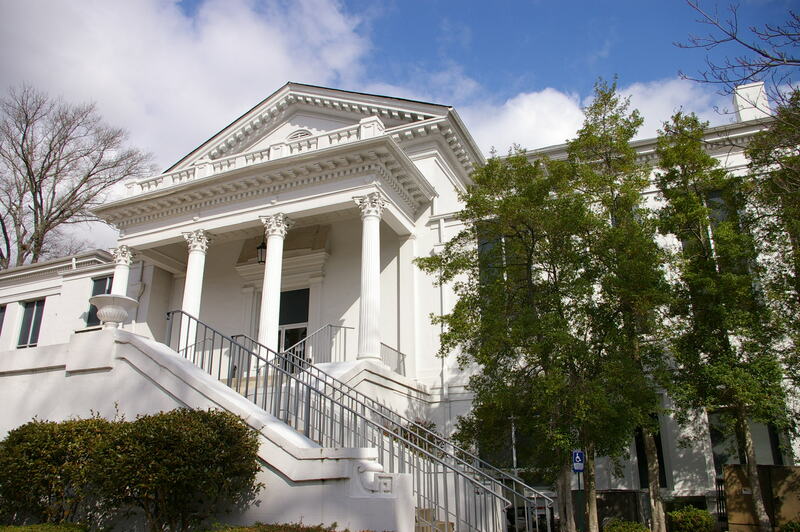 The center section has two one story porticoes with peaked roof and clock behind. 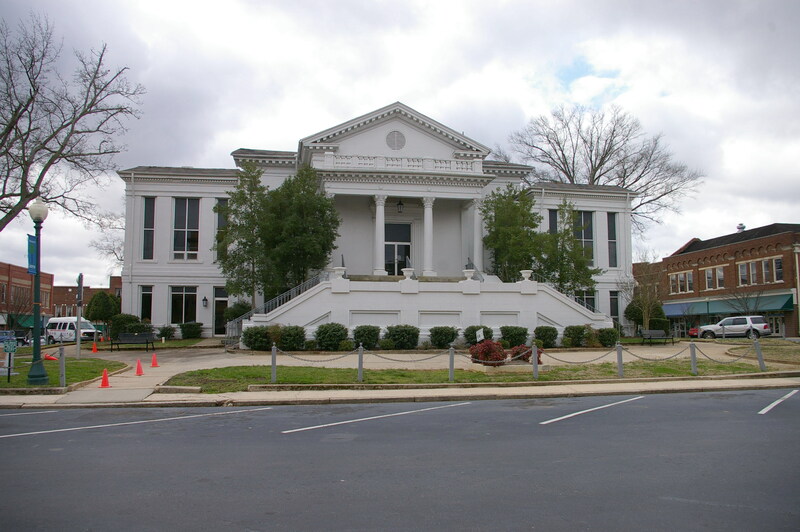 The building is named as the Laurens County Judicial Center.